The penultimate day of the 2018 US Open will not be forgotten in a hurry after Serena Williams' extraordinary row with umpire Carlos Ramos overshadowed Naomi Osaka's maiden grand slam triumph. Osaka beat Williams 6-2 6-4 in the women's singles final at Flushing Meadows after the American had received three code violations, culminating in a game penalty towards the end of the contest. While Serena's actions understandably dominated the headlines, Omnisport's reporter on the ground, Christopher Devine, brings you some behind-the-scenes info in his daily diary. 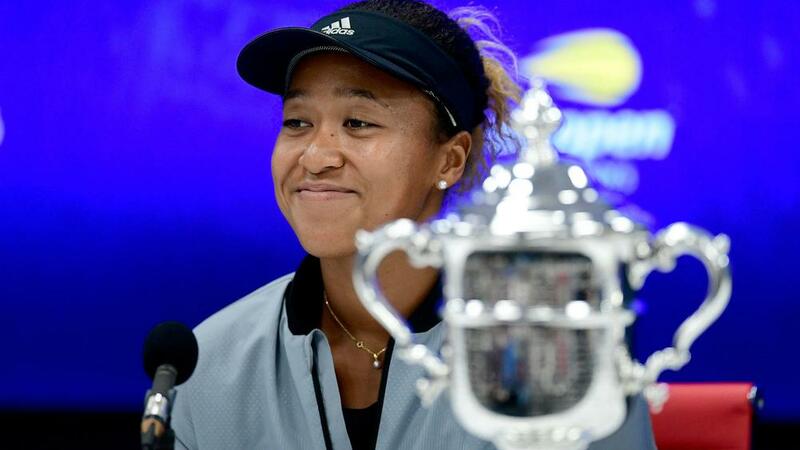 Osaka was moved to tears during both the on-court presentation and her subsequent news conference, but there were, thankfully, some lighter moments when the champion faced the media. Arguably the most amusing point came when Osaka was asked about her father, who attends events but does not actually watch his daughter's matches. One reporter asked Osaka: "What does he do during matches?" "We don't really know," said the Japanese with a smile. "I always thought I should put like a GoPro on him. "I think he might take long walks, because maybe my matches stress him out or something. But, for a long time, he's always watched my practices and stuff, but he's never really sat in the box or anything." Prior to Saturday evening's drama, Omnisport's sleepy reporter got quite a shock in the morning after boarding the Flushing Line Subway on his way to the USTA Billie Jean King National Tennis Center. As the train pulled into one station, on jumped a man with a guitar, who immediately launched into a very loud performance that seemingly impressed nobody. His song having gone down badly, the busker promptly hopped off two minutes later at the next stop! The men's singles final will be overseen by a female chair umpire for only the second time in history. Alison Hughes of Great Britain will be in the hotseat for Novak Djokovic's meeting with Juan Martin del Potro. Eva Asderaki-Moore was the umpire who made history in 2015, chairing Djokovic's victory over Roger Federer at Flushing Meadows.